When I was setting up my Bullet Journal for the new year I really stripped it all back to basics. As I first started to use one I was so excited that I had lots going on in there, and while it’s fun, realistically I don’t have the time to keep them going. For me, it needs to be fairly simple spreads just to keep me on track with family life and blogging alongside a few collections of what I’m reading. However, I had an idea of something new I did want to try this year and that was to use it as more of a diary. I’d shared a photo of my book list on Instagram and one of my friends, Katy, commented with how nice my journals will be to keep and look back on. She wrote the sweetest comment about her own Mum’s diaries and it has really stayed with me. I asked her if it was ok to mention it here as it was very touching and inspired me to start this. Sadly her Mum, Joy, passed away several years ago but she has her old notebooks which are like a peek into that person you miss. She said how it made her see a side to her she didn’t know as well and showed her how similar they are as Mums. She’d also shared some of her mum’s beautiful sketches on her Instagram; it’s lovely that these things are still being cherished. Seeing the photos of all the diaries she has is so moving and knowing how incredibly precious a simple note can be has left me often thinking about what Katy shared. It’s bittersweet to think about and it’s sad when people we love aren’t here anymore yet nice to hold onto things that were a part of them. There is something so personal about people’s own handwritten notes, letters and diaries and they will possibly be quite rare in such a digital age. 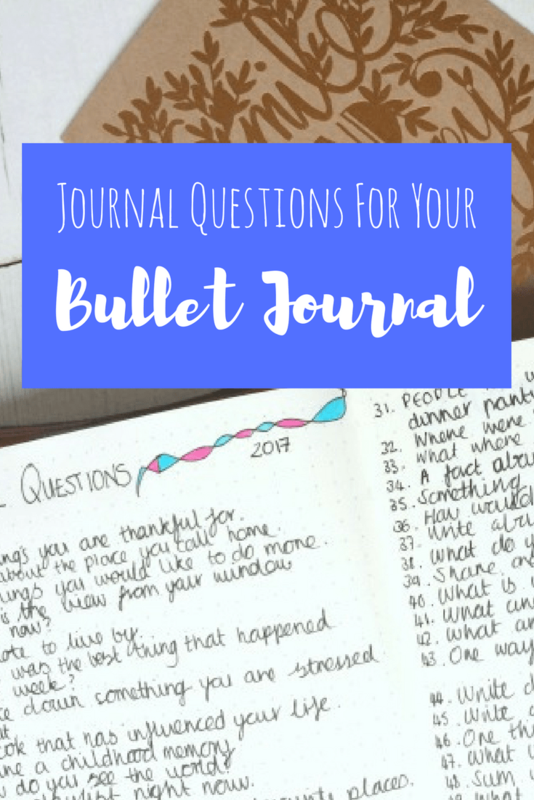 I felt really inspired to make my own bullet journal more of a moment in time – it’s nice to think that something I scribble down now might give some comfort to somebody in years to come, maybe more than this blog will. I kept diaries from the age of 10 to about 17, I still have them all and they are, equally, hilarious and embarrassing to look back on. I’m going to keep them so when I have teenagers of my own I can keep some perspective – I can’t believe how melodramatic and boy crazy I was, the littlest problems were built up into a frenzy of angst. You can’t read through a page without a boy being mentioned at some point. I didn’t actually think I was that bad a teenager but when I read my diaries it surprises me – I’m not sure how suitable they will be for my future generations to read! Still, I love reading them back and it would be nice to have something from this time of my life to do the same with. 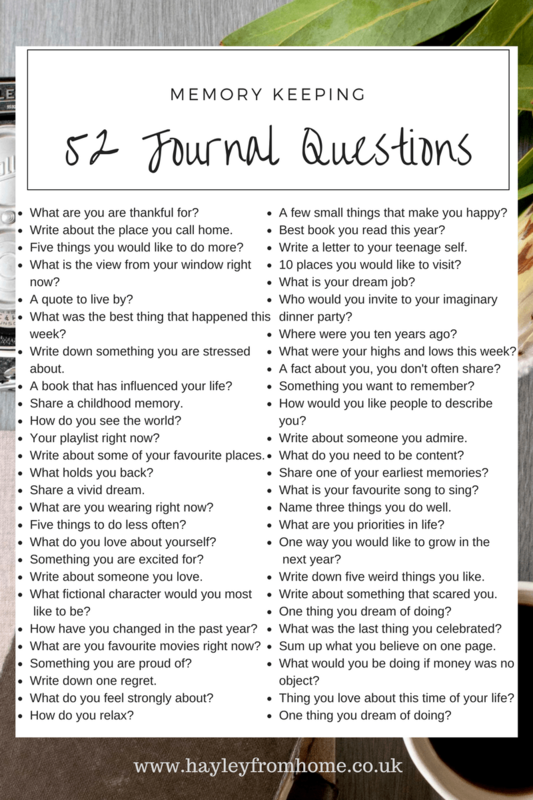 I don’t think my days now are exciting or varied enough to keep a day to day, ‘here’s what I did today’ style of journal so instead I’ve wrote a list of 52 questions in the back and I’ll pick one out each week to answer. I’ll just write them where ever I’m up to in my journal so they’ll run throughout the whole thing. Some will only be need a couple of lines and some I’m sure I could full a couple of pages with. They’re nothing particularly challenging but I’ll list them below if you’re interested. I searched through Pinterest and wrote down any that I liked the look of, added a few of my own and whittled them down to 52. 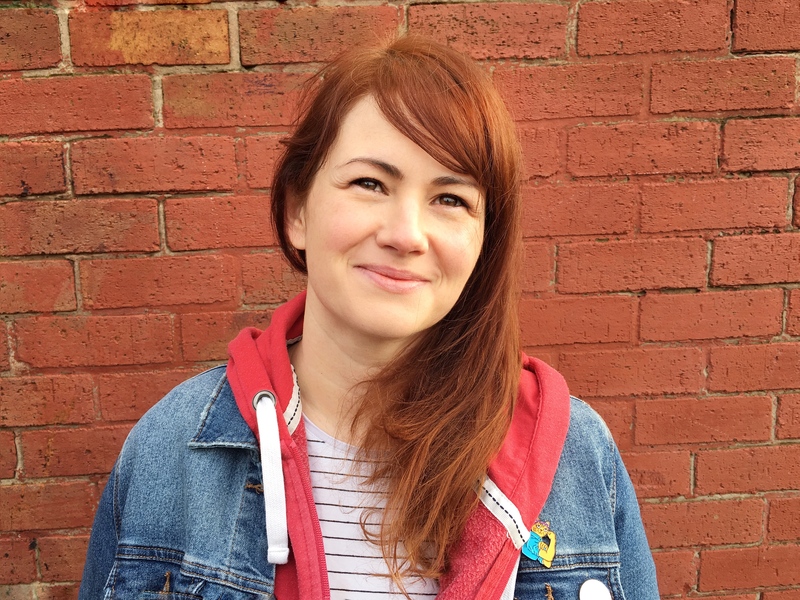 I wanted a mix of things that reflected who I am at the moment and gave an insight into the world around me as well as things I think I might want to look back on in five years time. Writing in a diary brings so much more freedom as you aren’t putting it out there for others to read. I hope that it will be a good way to keep writing creatively, hopefully improve my handwriting a little and just capture some of my life right now. I’ve had a few people ask me what I use so if you are thinking of starting one yourself here is what I have. My notebook is a Leuchtturm 1917 in Orange, I use a Fabel Castell Pen (size small) for pretty much all the writing and grids, I’ve been using it for months and it hasn’t run out yet. I also have these Staedtler Triplus Fineliners for colour. However, you can easily just start with an ordinary notebook and a pen! I know, I thought the same. Just be nice to handwrite something too, I’m looking forward to getting into it! Awwww Hay. I’m sure my mum would like knowing that she has inspired you! Her books and diaries and such a personal insight into her life. I’m sure she didn’t think anyone would ever be interested in them but it turns out….we are! I have laughed and cried as I’ve read them but so grateful to have them all in one place (who knew that when I was 6, my Mum and Dad held a party for me and 15 kids in their semi detached house!). It’s my chance to ask questions as a Mum to a Mum. MY Mum! I shall be round soon to show you them for real! I love these questions and you’ve now got me thinking. It’s such a good way to record good things….else I think there really is the risk of just writing angsty unimportant waffle (like my own teen diaries :)). Love this idea so much I’m going to try one. However I live in Canada I probably won’t be able to buy simular products here. Will have to check staples. You a inspiration !! Awesome journers! Thank you for posting this on Pintrest. I have been married fo 23years and on 12-4-17 came across pictures of my husband and his Amore. He has been seeing her for 9 years until her husband found out. It was such a shock for me to think that my security in this marriage was not what i had thought all along. I had been looking up quotes that i could print out and frame to assist me in going on with my life as a single woman. As a teenager i used to journal quite a bit and it helped me through some rough years. Now thanks to you I will start 2018 a new phase in my life trying to find myself all over again. I hope to become more confident and self assured so I can raise my 12 year old granddaughter to be one as well. Hello Toni, thank you so much for taking the time to comment. Oh I do hope that this helps you get through such a difficult time, what an awful thing to happen. 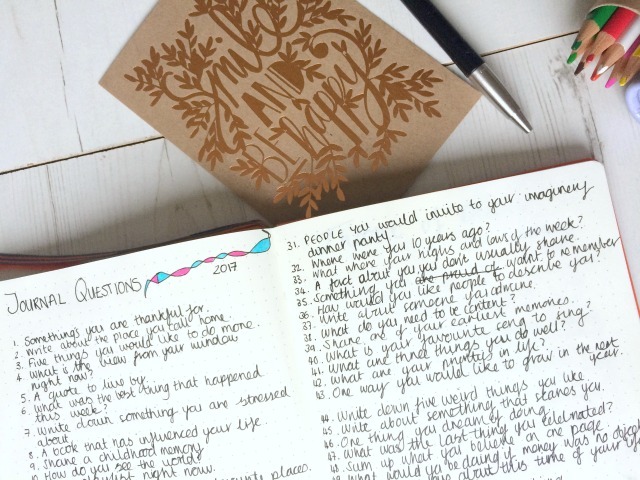 I really do believe that journalling can help you vent and reflect and hopefully find some peace. My own parents split up under similar, horrible circumstances, it’s been many years now but my Mum is now living out her dream and has moved to France with her new partner. I can’t even imagine how hard it was for her to pick herself up again but she did it! Wishing you the very best for 2018 – you sound ready to tackle it and I’m sure you will be a fantastic role model for your granddaughter. All in my head . I hardly journal again but this will set me free!